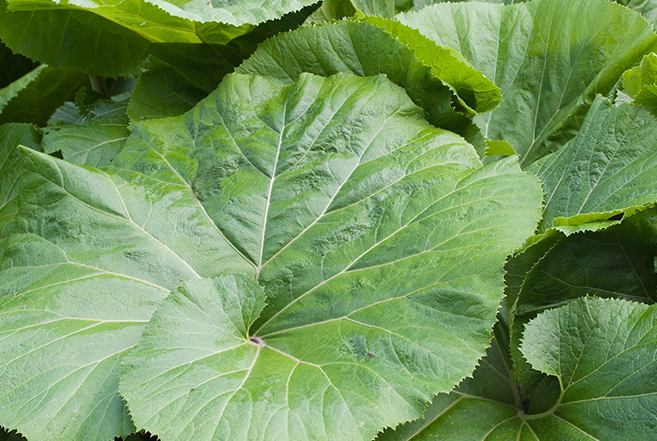 Petasites are perennials plants with heart or kidney-shaped leaves with strong, thick stems. Flowers will usually form in the spring coloured purple, white or yellow. Petasites are best suited to low maintenance banks, slopes, flower beds or borders in a cottage or informal garden setting. You should expect to see Petasites grow up to a height of approximately 10cm (4”) and a spread of between 10-50cm (4-20”). Petasites are best planted in moist, well-drained soil of chalk, clay loam or sand within an acidic, alkaline or neutral PH balance. Dig a hole that is the same depth and width as the root ball. Space companion plants 40cm (16”) apart and mixing a generous amount of peat moss to the planting area, mixing thoroughly to keep the ground moist. Water thoroughly and deeply to settle the soil into place. Petasites are best positioned in an area of full sun or part shade. It is important to retain moisture levels in your soil throughout active growth, especially during their first few weeks. You may wish to apply a layer of mulch to keep your plant cool and moist. It is possible to propagate Petasites by division during spring.